This Kienzle box clock from Germany has the cheaper type of movement with lantern pinions and thin movement plates. They run for years, due to the very strong mainsprings. 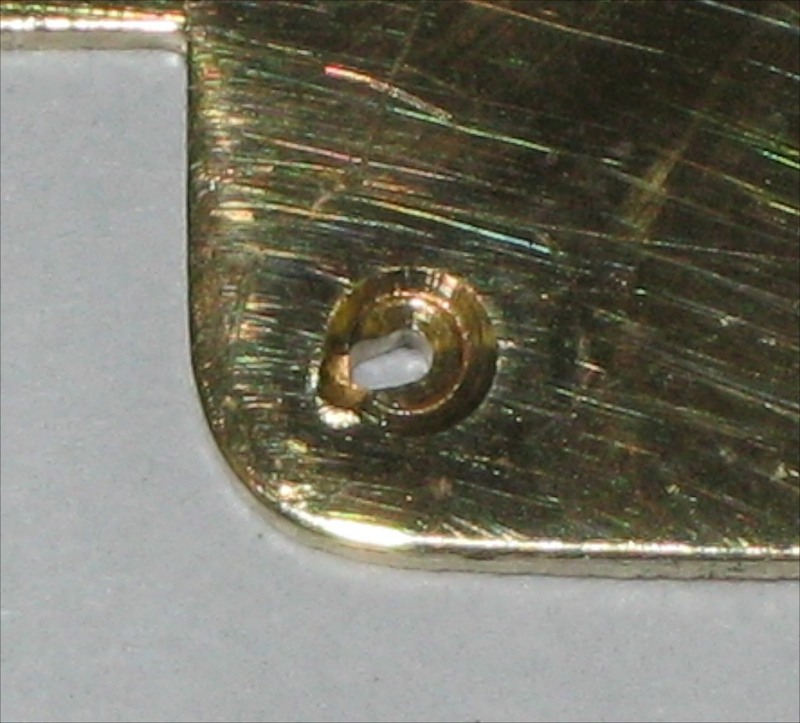 If a mainspring breaks, its strength can cause gear teeth to get bent or destroyed. This clock had new pivot hole bushings installed some time ago. One bushing (see photo below) was worn from the center all the way to the edge! Sometimes the pivots instead of the pivot hole wears, and I have seen pivots on these clocks worn down to almost nothing. I polished the pivots and installed 15 bushings. This kind of clock should be dismantled and cleaned every several years, to prevent the strong mainsprings from causing severe wear to pivots or pivot holes. 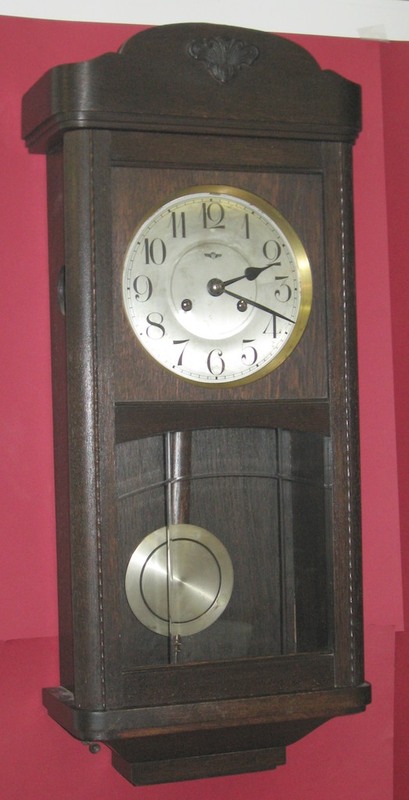 This clock is 28 1/2 inches tall and 12 1/2 inches wide, and the dial’s minute track is 6 7/8 inches in diameter. I replaced the ratchet gears and one click spring. 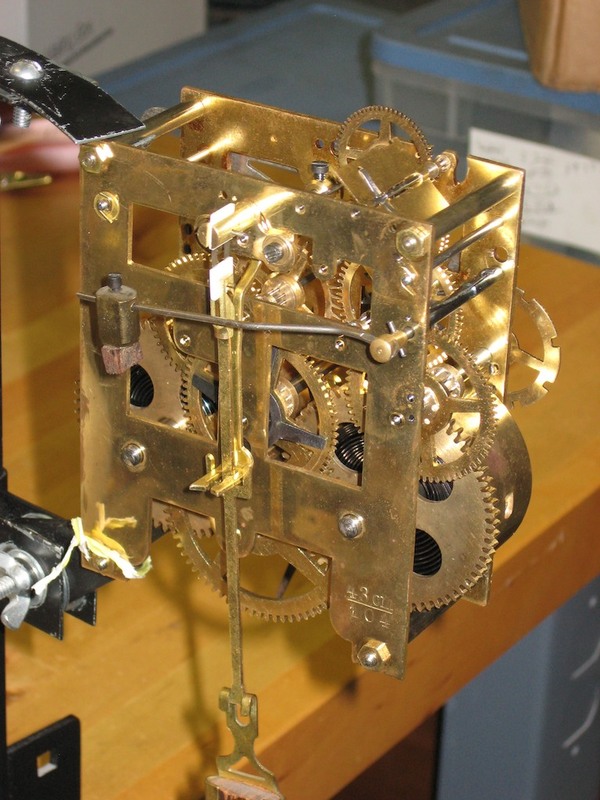 This is the mechanism that makes a “clicking” sound as you wind the clock. These parts can wear and cause unreliable winding. dear sir. i have a box clock , that classic. inherited since years back, would like to know why pendulum keeps stopping..